Migrating an application to the cloud involves much more than just selecting a cloud provider. It can be done, but think security, connectivity, and things like labor costs. No pain, no gain.Many people adopt that mantra in their quest to become leaner, more resilient and agile. 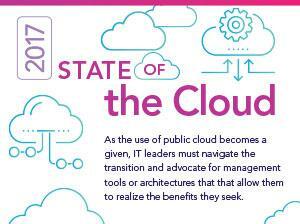 Companies migrating to the cloud — especially those trying to “lift and shift” legacy, monolithic and non-cloud friendly applications — should be prepared to embrace that motto as well. Moving years’ worth of code and architecture to the cloud is a slow and painful process. Even so, the lift and shift approach can ultimately result in faster migration and deployment and less disruption overall because there’s no need to modify code. There are downsides to the strategy, though. They include discovering that the app does not work as well in the cloud as it did when hosted on-premises, or that it actually works better, but at a higher cost. And when you simply move old code to a new location, you can’t take advantage of cloud-native features like scalability. 1. Select the right cloud vendor. It might seem like obvious advice, but it’s essential to do your research and find the right partner to go to market with. Look at reviews from industry analysts to determine which vendors are considered leaders and which features and services they provide that align with your company’s specific challenges and goals. Also, find out which vendors your peers (and competitors) rely on. That’s valuable insight. Another strategy for identifying the right partner, which also can help your business drive down costs, is to assess the technology your company has in place today. For example, do you have an enterprise agreement with a technology provider that could be leveraged to transition to the provider’s cloud computing platform and services? That existing relationship could help you negotiate a better deal than if you had approached the vendor as a new customer. Once you’ve narrowed down your top choices, conduct a benchmarking exercise. How do the vendors compare in terms of cost, technical support, infrastructure capacity, and more? Most important: Which ones have a strong track record of helping businesses move legacy, monolithic apps to the cloud? Search online or ask the vendor’s sales team directly for white papers, case studies, and other materials that detail their experience in this area. 2. Choose a skilled partner (and ask about security and compliance). After you choose your cloud vendor, you will need to decide which technology and service partner is best-suited for supporting your company through the migration process. Here again, it’s important to do your homework and benchmark your options. In addition to evaluating a potential partner’s capabilities, and determining whether the team has solid experience in lift and shift migrations, you need to ask about security and compliance. You want to make sure that the platform you will be moving to can support your company’s specific needs on both fronts, or that a solution is available to address your requirements. 3. Determine how best to “cable up” to the cloud. With your vendor and partner in place, a statement of work with clearly outlined deliverables and milestones in hand, you’ll need to decide how you to integrate your infrastructure with the cloud. That is, how are you going to connect back to the on-premises location you are hosting? Also, how you are going to secure that connection? Moving legacy workloads to the cloud is just like building a data center from the ground up, except that you don’t need hardware or a physical location. But you do need connectivity. You can use your ISPs and service providers to connect directly to the cloud, or you can reuse your existing telecom providers. The latter approach often provides a more secure and resilient implementation. 4. Test, test, test, and make changes to become cloud-ready. Your business should be prepared to devote about 12 to 18 months to the lift and shift process once work on the project is ready to commence. Most of that time will be spent on planning and testing. At Cornerstone OnDemand, as an example, our team spent nearly half a year dedicating resources to figuring out how to take our legacy app into the cloud. We wanted to really “kick the tires” and understand what adjustments we needed to make so our app would be cloud-ready. Storage I/O requirements: If a legacy application is highly dependent on storage I/O (the input and output process for data), moving it to the cloud could be costly. Remember: The higher the workload, the more money you will spend for it once it’s in the cloud. CPU usage for database requirements: If you are paying for licenses for on-premises hosting, be sure to understand how much those workloads will cost in the cloud in terms of their CPU usage — and memory and storage, too. Backups, business continuity and disaster management: Some cloud providers will offer these types of services natively. However, those services may not meet your specific requirements or recovery time objectives. So, it’s imperative that you understand their limitations. Final tip: Make automation a priority. A common misperception about moving to the cloud is that you can eliminate, or at least significantly reduce, infrastructure resources right out of the gate. But for the short term, your company should be prepared to see an uptick in labor costs as well as other recurring costs. So, you should look for any opportunity to automate workloads so that you don’t have to hire more staff. A lift and shift migration for a monolithic app sounds like a straightforward process. It’s anything but. However companies can ease the pain of this transition by aligning the right expertise, focusing on security and automation, and taking time to conduct thorough testing. Mark Goldin is Chief Technology Officer at Cornerstone OnDemand, a global leader in cloud-based human capital management.